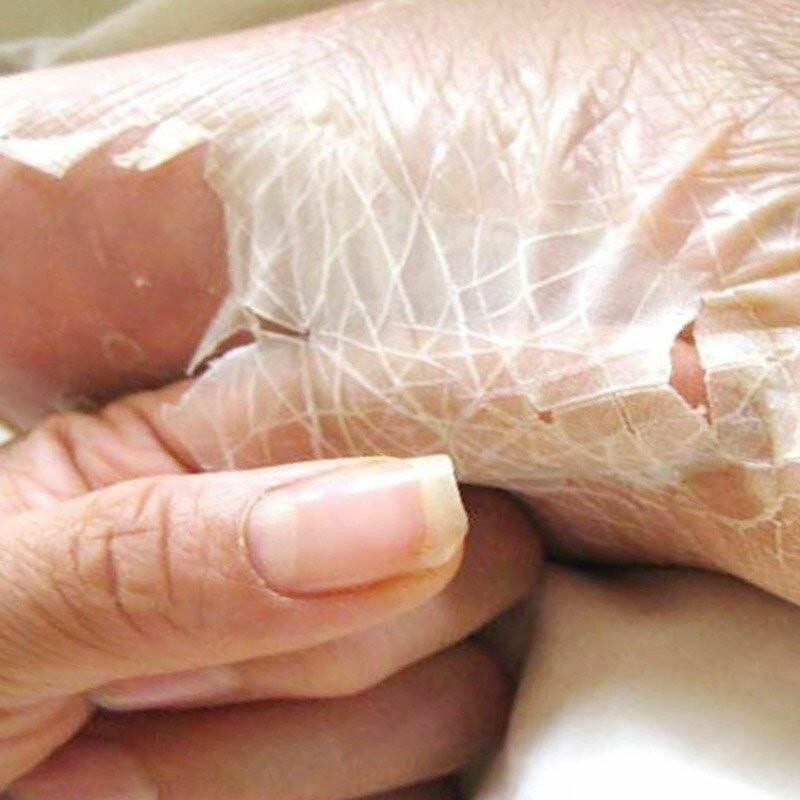 I don't know what medieval witch magic Baby Foot puts in their Exfoliant Foot Peel to produce the skin-molting effects you see before you but, even though it would make perfect sense here, I promise you it's not snake oil. Have a look at the ingredient list yourself. My girlfriend says two near the top, lactic acid and glycolic acid, usually show up in her face peels, but...damn. If her face peeled off like that I'd tell her to go back to Jaqen. 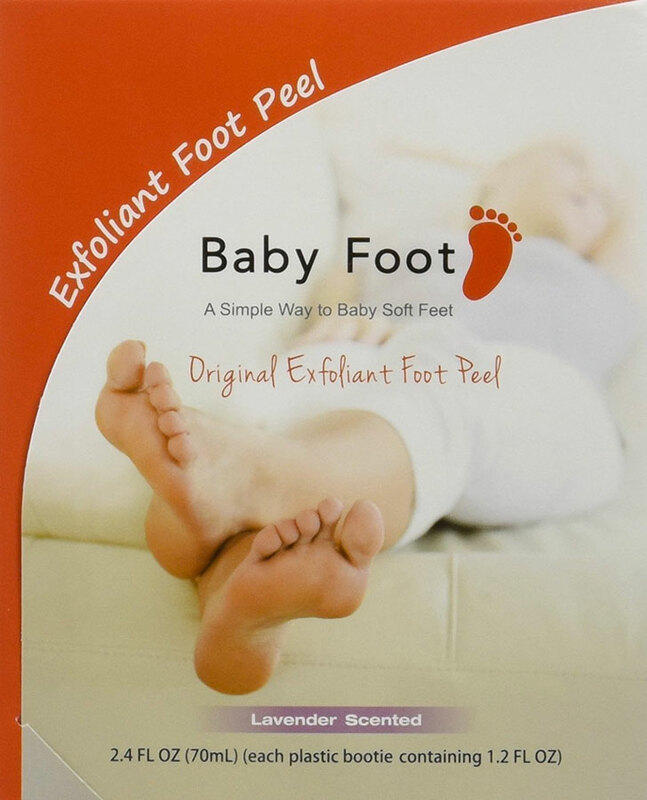 Whatever Baby Foot brews in their solution that, 5 to 7 days after you apply it, makes all the dead skin on your feet peel off in sheets, it seems to be no joke, and no exaggeration. There are literally thousands of reviews of this foot beautifier, from all kinds of men and women, and dozens of customer photos showing sickly fascinating individual results. The downside to Baby Foot--I mean, aside from the fact that you're going to have grody snake feet for up to 14 days once it takes effect--is that it requires precious time and dedication to reveal the pink infant skin beneath your calluses and cracked heels. On application day, you'll have to soak your feet in warm water for 15 to 30 minutes, and then put on the goo-filled Baby Foot booties for an hour. Baby Foot instructions conclude with washing off the exfoliant and then countin' down the days 'til the skin harvest begins! But reviewers say you'll get much better results (i.e., thicker sheaths of dead epidermis falling off your feet) if you continue to soak your feet in warm water for 30 to 60 minutes every day or every other day for the next two weeks. In sum, Baby Foot sounds weird and gross and looks like a flesh-eating disease. And I want some.